Hannalee comes of age in a well-guarded orphanage. A photo album her father made introduces her to her mother, and she daydreams of their meeting one day. But the harsh reality of being unwanted strips away the façade of her imaginings. Through caring for a young infant who comes to the home, she learns about love and forgiveness through her Father’s eyes. When she learns her mother is in danger, she climbs the wall surrounding the orphanage, determined to find her. The world she enters is dark and cold, far different from her home where she once basked in her Father’s warmth and love. A cross between Lovely Bones, The Shack, and Sixth Sense, A Daughter’s Heart reveals the consequences of choices and the loving sacrifice required for redemption. 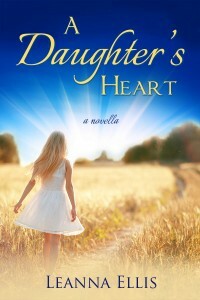 All proceeds for A Daughter’s Heart go to charities that support life and help young mother’s and children. A young widow, determined to fulfill her husband’s last request, hauls a three foot bust of Elvis strapped in the back seat of a vintage Cadillac from Texas to Memphis to return it to its rightful owner. The road trip with her eccentric aunt, who knew the King of Rock n’ Roll, and a temperamental teen, who’s hiding her pregnancy, hits roadblocks and detours as the three women uncover pieces of their own past along with the bust’s mysterious history. The discoveries change the course of their lives forever. A devoted wife and mother must return to her hometown of Luckenbach, Texas to help her mother plan her father’s funeral. Trouble is – he isn’t dead! And neither are the secrets she buried there years ago. Despite death defying feats, guilt has always pulled Bryn down time and again. But a perfect love shows her taking a leap of faith is the first step to soaring. 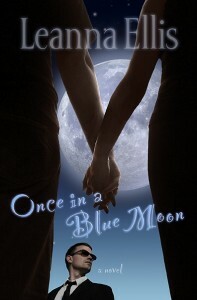 But it only happens … once in a blue moon. “Ellis weaves an engaging tale…a love story with a bit of conspiracy theory thrown in. Readers will appreciate Ellis’s humor and witty dialogue, and some will relish remembering the Apollo years as she slowly reveals the details of Jennifer Seymour’s death and Bryn’s healing from it. Sharp prose and an appealing love story make this tale a winner. 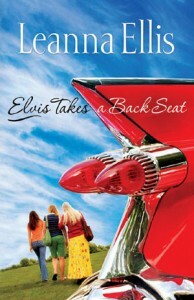 Ellis (Elvis Takes a Back Seat) sensitively delves into the subject of trying to come to terms with losing a parent. 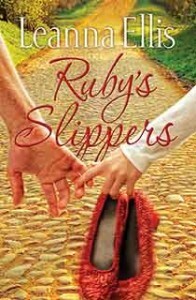 When Dottie Meyers loses her ‘no place like home’ during a Kansas tornado, she wakes up to find a pair of ruby slippers left by her father who abandoned his family thirty years ago. With her sister hot on her trail to find the treasured ruby slippers, Dottie travels a yellow brick road with three friends to find her father. No wizard can solve her problems. Only the love of a heavenly father can heal her wounds and give her the desires of her heart. There’s no place like … the heart for God’s healing touch. A ‘can do’ kind of woman, who runs her own business and raises her teenage daughter alone, takes into her home her ex-mother-in-law after a botched facelift. She turns Kaye’s world upside down. 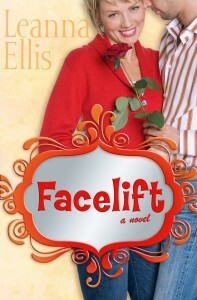 Kaye receives her own emotional facelift when she learns joy isn’t tacking on a happy face but relying on her sovereign God who has a plan for her life.